Our Chief Design Ambassador, Jason Buensalido, was invited by Modern Living TV (A PhilStar Show on ANC), to share his thought son the current state of Philippine Architecture, what he and his firm are doing to improve it, and how they applied their principles in a recently completed project. 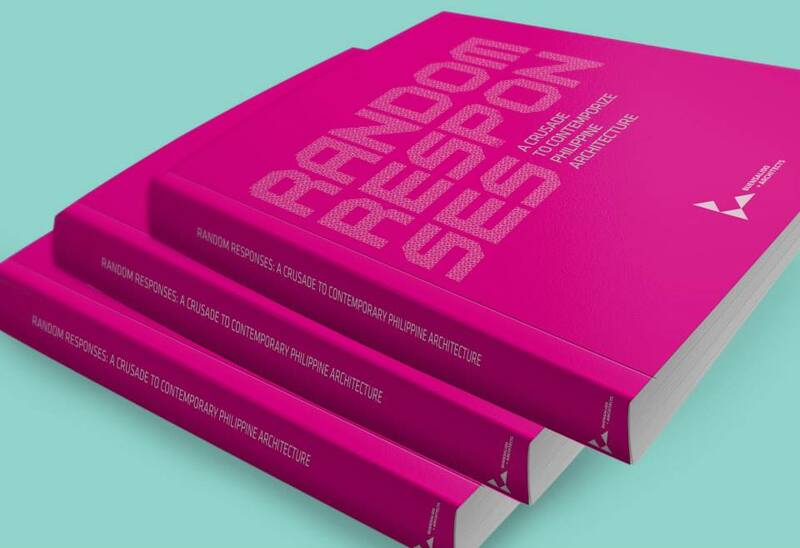 Our book, ‘Random Responses’, even has a cameo appearance! 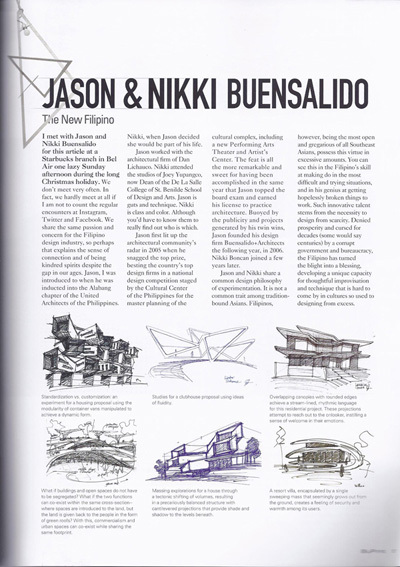 Buensalido Architects may only be on its eighth year, but the architectural, interior, and urban design laboratory has already built a formidable resume of projects that show off its distinct design flair, and the launch of its book Random Responses only added to the firm’s string of contributions to the industry as it aims to contemporize Filipino architecture. 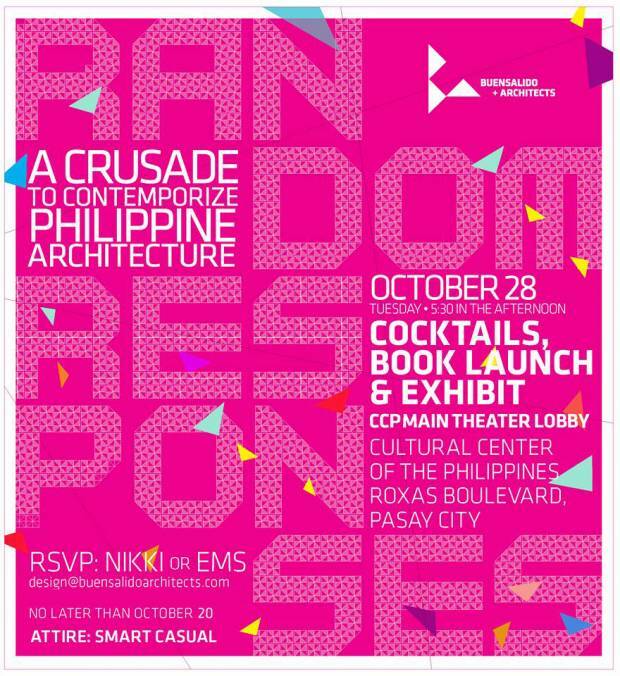 Held October 28, 2014 as a cocktail event at the Main Lobby of the Cultural Center of the Philippines (CCP), the launch of Random Responses solidified Buensalido Architects’ mission to instigate change in the country’s design industry. 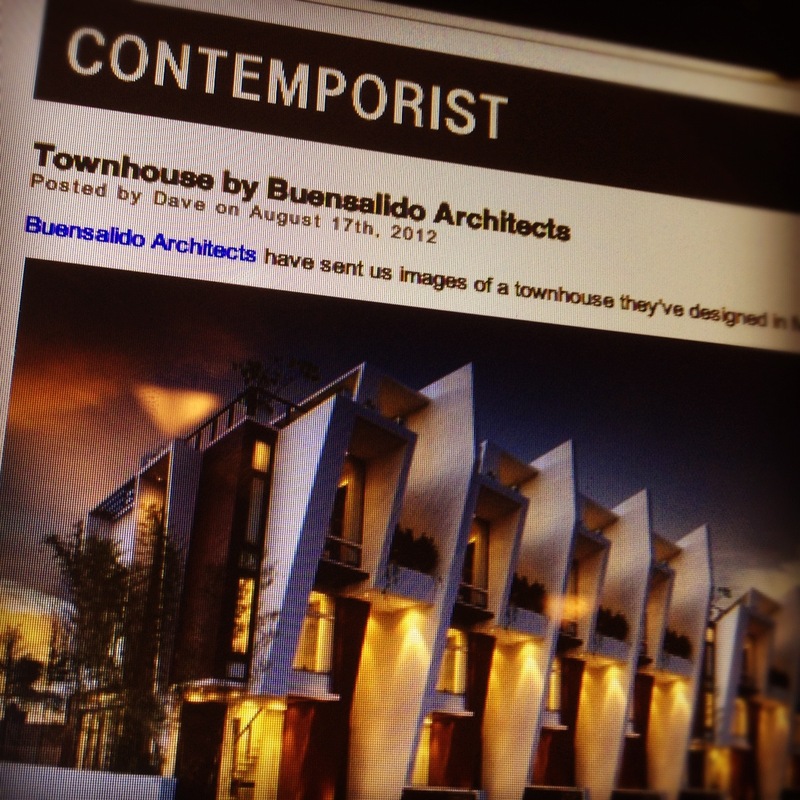 Hosted by Issa Litton, the affair brought together Buensalido Architects’ industry friends and distinguished clients. Principal Architect and Chief Design Ambassador Jason Buensalido, wife and Associate Architect Nikki Boncan-Buensalido, and VP for Operations Ems Eliseo led the team as they welcomed some of the event’s guests, which included Ces Drilon, Julius and Tintin Babao, Ed and Dinti Tuviera, Atty. Charito Planas, Artist Leeroy New, Joseph and Stenie Tay, and Daniel and Monica dela Cruz. Also joining the firm in celebration were Architects Manny Illaña and Rommel De Guzman of Ayala Land, Ric Gindap of Design For Tomorrow Branding Consultancy, Mike Marquez of Evermount Construction, Tony Tuviera, Direk Mike Tuviera, and Jojo Oconer of APT Studios, and CCP’s Tess Rances and Nes Jardin, who received the book for CCP. 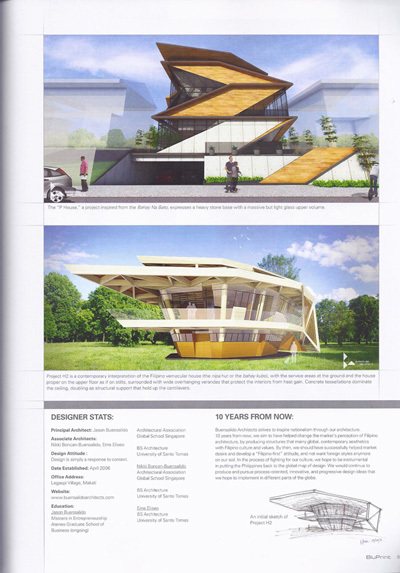 A compendium of the firm’s past, future, built, unbuilt, small, and large scale projects, Random Responses is Buensalido Architects’ “love letter” for Philippine architecture, which the firm believes still holds great relevance amidst the newer, more foreign architectural styles in vogue today. A special exhibit which included some of the works featured in the book, as well as a special book signing for guests by Architect Jason Buensalido capped of the event. The Random Responses Book Launch and Exhibit was made possible in part by general contractors and Buensalido + Architects collaborators Evermount Construction Corporation and Perfect Dimension Corporation. Random Responses: A Crusade to Contemporize Filipino Architecture is available for purchase through email: design@buensalidoarchitects.com. For further inquiries, please contact +632 478.3445. The book will be available in bookstores beginning second quarter of 2015. 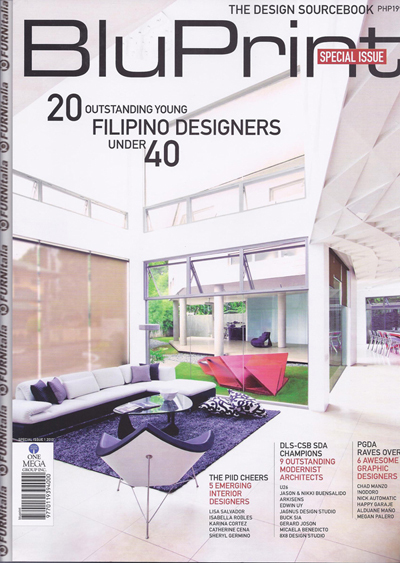 In 2013, we were privileged to be part of BluPrint Magazine’s list of 20 Young Outstanding Filipino Designers under 40. 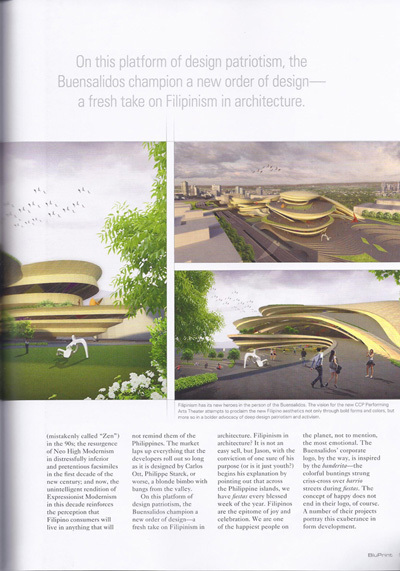 The article was beautifully written by Joseph Javier and clearly expressed our crusade to contemporize Filipino Architecture. Entitled THE NEW FILIPINO, we had a discussion about our beliefs and design practice, striving towards a NEW FILIPINISM in our architecture. One of the first competitions we joined was the “Pinakamagandang Bahay Sa Balat Ng Lupa” Competition way back in 2009, which was launched by Lafarge Cement Philippines and the University of the Philippines College of Architecture. A national open competition, it challenged Filipino architects to submit blueprints featuring new concepts of what makes a magandang bahay (beautiful house) that takes into account adaptability to the local climate and lifestyle, while keeping the cost to build relatively low. 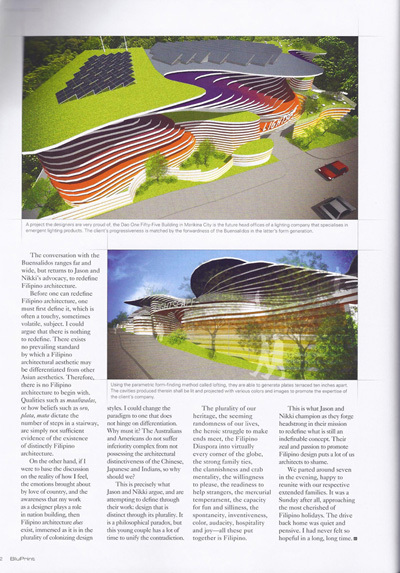 Out of 79 entries, we won and bested the other firms with a design reflecting the Filipino’s creative spirit. Finally, in June 2014, after a quick 4 months of construction, we finally inaugurated the building along with the stakeholders and prime movers of the project. Sharing with you guys a TV feature of the event, as seen on Green Living, on Channel ANC (ABS CBN News Channel). 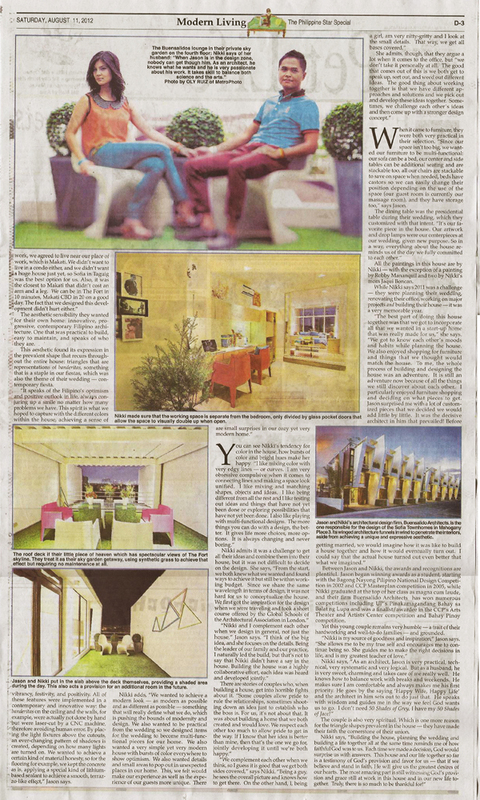 Here’s an article of the inauguration in Business Mirror Newspaper. Sharing with you guys our latest completed residential project, S House, as featured in Daphne Osena-Paez’ webisode of Urban Zone. Thank you Daphne for providing a platform for us to share our ideas and spread our ideas on “Filipino Rennaisance”. Mabuhay! 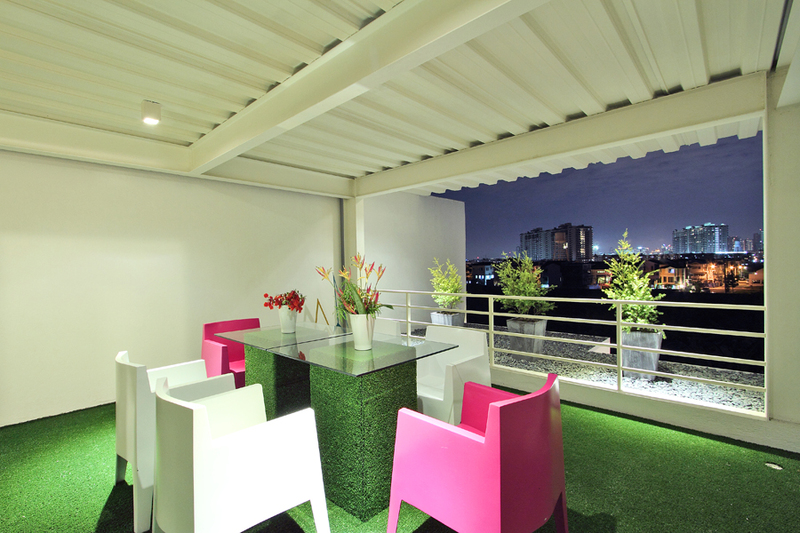 Designing houses in the Philippines can be frustrating a lot of times for us. 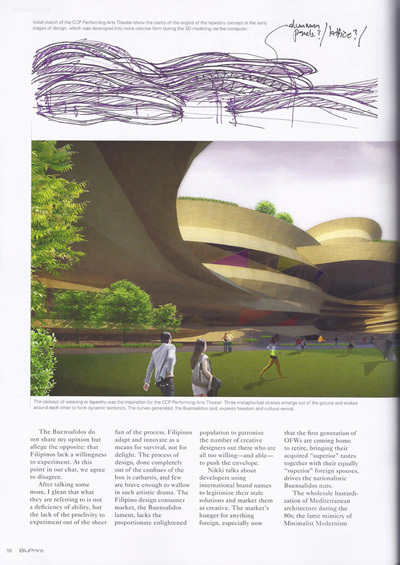 Since we practice contextual architecture, we do not believe in ‘themed’ residenial developments but instead believe in an architecture that is designed specifically for the place its going to be built, the climate there, and should reflect the culture and identity of the people using it. For this project, for instance, the lot is located within a strictly Mediterranean-themed development. We understand the whole point of having rules and restrictions in a subdivision which is essentially to achieve harmony within it. But since the village had a mediterranean theme, and houses there had little or no eaves, we were being restricted to have a maximum of half a meter for our eaves! This doesn’t make sense at all in a tropical climate because we need eaves and canopies and different architectural contraptions to be as long as they can be to protect our fenestrations from heat and rain (which happens to hit the house horizontally when combined with strong winds). We essentially designed the house as if we weren’t governed by the theme. We designed it to be honest to it’s site, climate, condition, and client’s pramaters. We started off with the idea that as an owner or designer of a private house, we will never have control over the urban condition that surrounds our property. One day, it may look good, the next day, it may deteriorate because of lack of maintenance. The theme of the village, for example is something we cannot control, more so the attempt of the other homeowners to build a Mediterranean house but most often ending up wth a very poor and tacky copy. Given this fact, we proposed a house that’s defensive. A house that’s inward looking, and whose back is faced towards the street, and whose spaces all are oriented towards it’s own controlled environment, in this case a courtyard in the heart of the house. By doing this, the spaces between the street and the courtyard become transitory barriers that protect the controlled environment within from being degraded by the uncontrollable harshness that our urban jungle creates such as noise from traffic, pollution, undesireable views, etc. We used public spaces such as circulation areas as visual and auditory buffers that protect the private spaces from the outside world. We proposed a house with projecting canopies to ensure the interiors from direct heat gain. We realized that if we push back the building line a bit back relative to the allowable building line, we can have longer eaves and canopies. 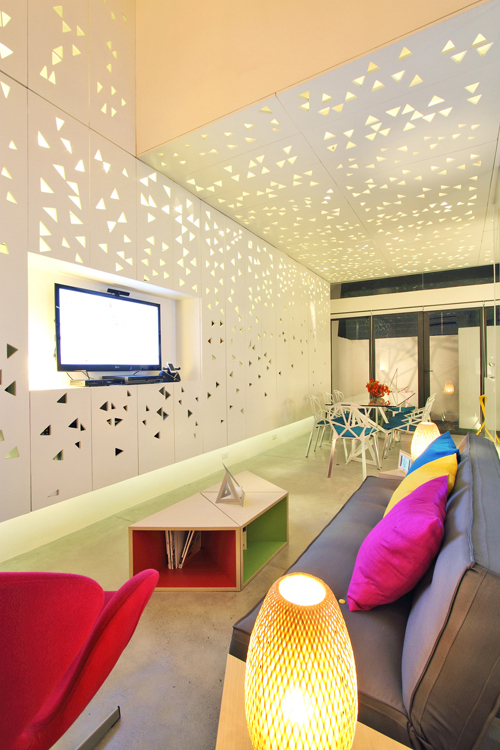 In combination with this, we made sure that cross ventilation occurs throughout the house. The plans of the house are not deep, therefore making it easy for wind to exit through another opening as soon as it enters. Even walls that open up to an internal hallway have transom windows, to allow wind to cut through. There is no room in the house whose windows are only on one wall effectibely funneling the wind to cut across the entire length of all rooms. We proposed a house whose general form is still oriented towards the courtyard, articulated with a series of walls that act as if they were hugging and shielding the internal environment of the house from the outside world, made even more expressive by arraying these fins in shifting angles. We proposed a house that is honest with its materiality – concrete is shown as concrete – raw and unpainted. Wood is shown with all of its grains and knots. Glass is kept as transparent as it can be. The imperfections of all of these materials remain unhidden. We took a chance on the design as we believed that it represented the client’s preferences, and the cleint ended up believing in the design so much as well. We submitted the plans to the subdivision with our fingers crossed. Despite the theme, and with a little push and a bit of argument, we had the design approved. Ever since it was built, the village has now been revising their regulations. The mediteranean theme has slowly been eased out as they realized that it was only a market-driven trend and there are now lesser and lesser people wanting to buld their house in such theme, especially after seeing that an honest house can turn out to be much more beautiful and expressive of who they are than themes that developers set. To cause things to change for the better, some rules should really be aimed to be broken. 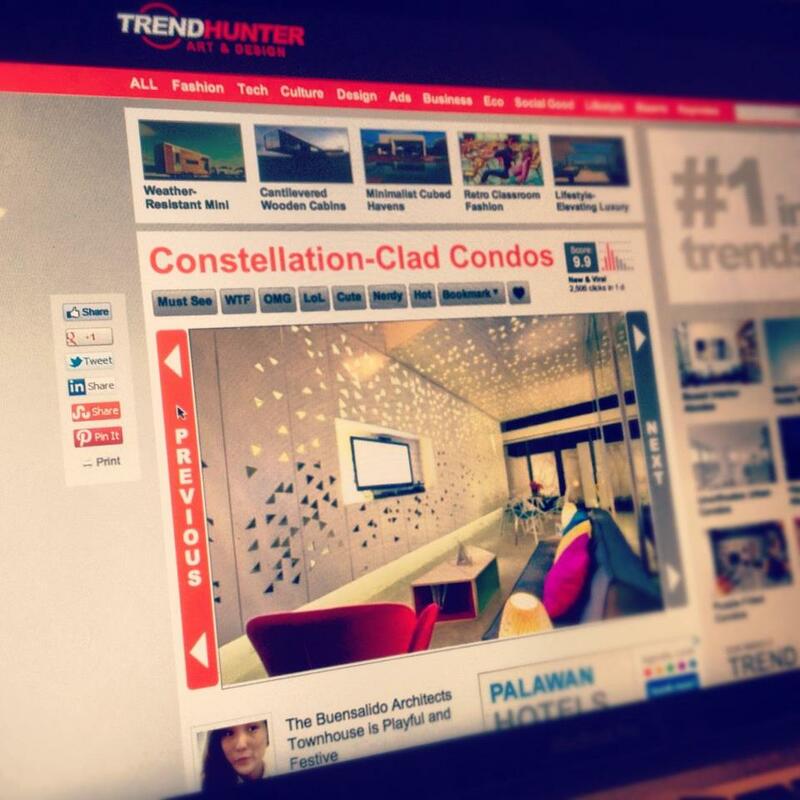 ‘The House’ Project, featured in globally renowned websites! This week has been such a great week for us, specifically for ‘The House” Project, an interior job that we recently completed which happens to be situated in a townhome complex which we also designed. It first came out in trendhunter.com, one of the widely read website that focuses on whatever is the latest on art and design. One of our goals is really to put back our country in the design map of the world, and we believe that the only way to do that is to stick with our identity and stop trying to be someone else by always desiring archietcture from other countries. Filipino Architecture doesn’t have to be stuck to a literal bahay kubo or a literal copy of a bahay na bato, because there are infinite ways to make it adapt to modern times WHILE reflecting our identity and culture in it. If anyone noticed, NONE of the themed architecture here in our country (Mediterranean, Balinese, Greek, Victorian, etc) have been featured in international design websites. But as soon as there is something distinctly Filipino about the design, it automatically gets recognition – like how Bobby Manosa and Kenneth Cobonpue got international acclaim. That simply means that all we have to do is be honest with who we are, be proud of our identity, make our designs speak about it, and we will be recognized as a strong player in the global design industry. 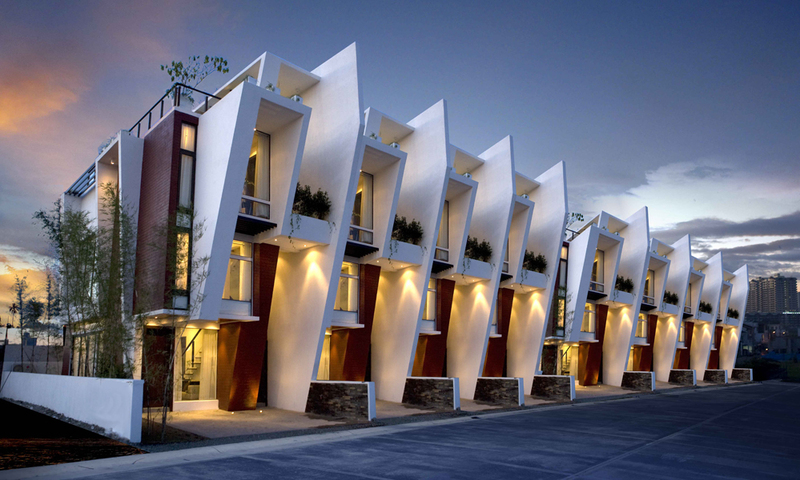 We designed a series of townhouses for DMCI Homes and VConsunji Inc way back in 2009. The Sofia Townhouse, as it was called, was so successful that it was dubbed the “most beautiful townhouse in the Philippines” by some websites. 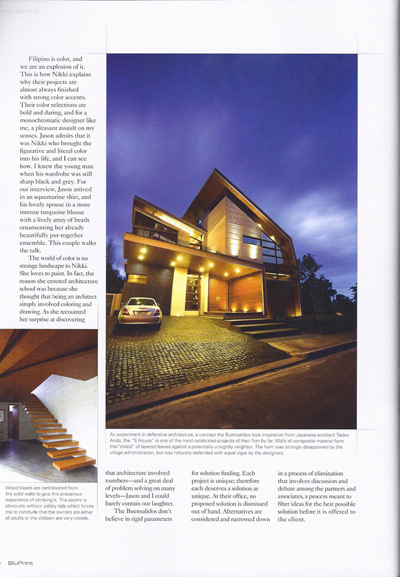 Perhaps that was because in 2008, Buensalido+Architects bagged the first prize in a national competition called “Ang Pinakamagandang Bahay Sa Balat Ng Lupa” (The Most Beautiful House on the Face of the Earth) against over 40 other architectural firms. 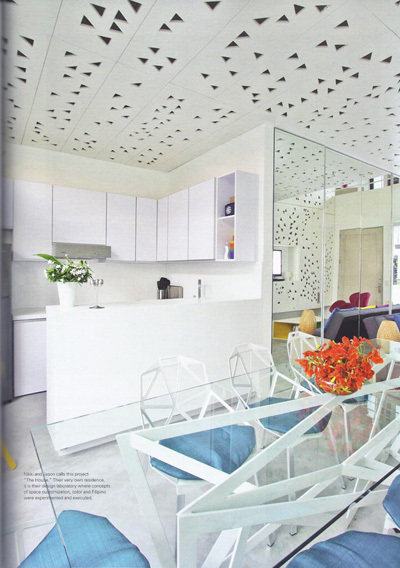 The interiors for this townhouse is a tribute to the Filipino spirit. As we constantly push for contemporary Filipino architecture, we found the aesthetic expression of this design intent through triangles, an abstracted representation of banderitas (or flaglets) that one would commonly see in local fiestas and festivals. As a country, the Philippines has one almost every day. It is a manifestation of the Filipino’s optimism and positive outlook in their lives, always knowing how to smile no matter how bad their situation is. This was captured with the different bursts of colors within the house, achieving a sense of vibrancy, festivity, and positivity. 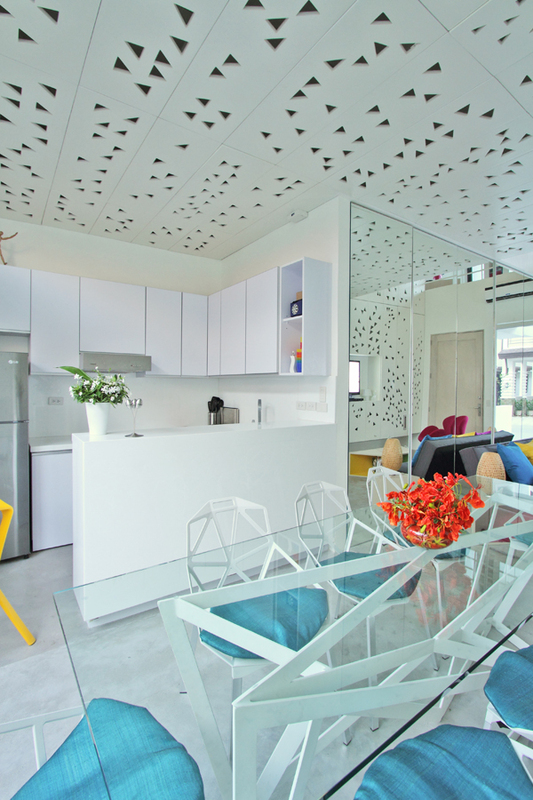 These conceptual ideas were physically implemented in a contemporary and innovative way: the banderitas and triangles on the interior surfaces were achieved with a CNC milling machine, therefore attaining precision in its production and avoiding human error. Light fixtures were located above the cutouts, creating an ever-changing pattern of shadows, depending on how many lights are turned on. A certain kind of material honesty was aimed for, so for the concrete flooring for example, was kept as is, applying a special kind of lithium-based sealant to achieve a smooth, terrazzo-like effect. 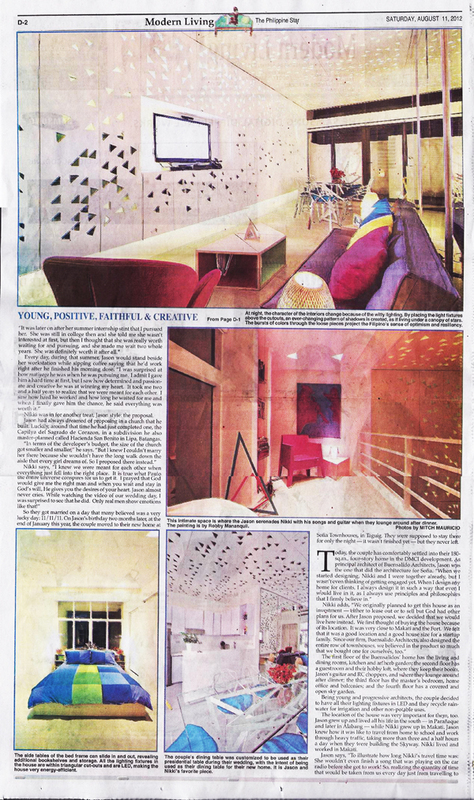 THE HOUSE was featured in the Philippine Star, a national daily broadsheet in the Philippines, in it’s Modern Living section. Tanya Lara captures the story of the owners and interiors of the house in her article, Crazy Quilt. Thank you so much Tanya, and to the Philippine Star!